ALL Library Books & Materials DUE TOMORROW! ALL LIBRARY BOOKS ARE MATERIALS ARE DUE TO BE RETURNED OR PAID FOR BY TOMORROW (FRIDAY, 5/24). 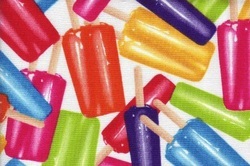 Students who return everything or pay for missing books will receive popsicles....and we ALL LOVE yummy popsicles, so remember those books tomorrow! Run for Rory is TOMORROW!!! Put on your RUNNING SHOES before coming to school tomorrow! We will be running for Rory from 8:50-9:20 a.m. on Friday morning. Eat a good breakfast and bring water to school so that you may do your best! Just a reminder to our Indian Trail Community: This is Running For Rory Week! We are well underway in our Running for Rory week here at Indian Trail. Last year we were so pleased to see our community rally around the cause. Our students ran over 670 miles and raised nearly $10,000. This year we are joining forces with Elm Place school and plan on having a grand finale run together on may 24th. Two weeks ago we sent home an informational flyer and donation sheet with all students. As of today, we have raised $405 towards the cause and we hope to see additional donations come in as the week progresses. As a reminder, this is the background on the Rory David Deutsch foundation and information on our school fundraising event. -Funding medical research and programs. -Increasing public awareness of the Foundation's mission. -Creating opportunities to engage young people and adults in activities that can make a positive difference in their lives. May 20th- May 24th both Elm Place and Indian Trail will work together in their first collaborative Running for Rory event. In order to make this fundraiser more meaningful for students, they will participate in a week long distance running program that fosters the importance of exercise, teamwork, and goal setting during physical education classes. Our goal is to run over 1000 miles in one day and raise over $10,000.00 in donations. Indian Trail students participated in their first “Rory” fundraiser last year and received an unbelievable response from our community. Indian Trail was able to run nearly 670 miles in one day with only 400 K-5 students. In addition, our community also helped raise over $8,000.00 for the Rory David DeustchFoundation. In addition to their training and education, the students will also have the opportunity to collect donations for the Rory David Deutsch Foundation. Being a non-profit, all proceeds go to their cause. There is no administrative fees or promotional costs that take away from your donation. Our goal is to reach $10,000.00 in donations this year. We know that can’t be done without a huge effort on your behalf. So please, spread the word. Let your family, friends, and neighbors know about Running for Rory and see if they’d like to donate. Every student has been given a “Donation Sheet” but please do not feel obligated to participate in this part of our program. All instructions and details to donate can be found on your student’s “Donation Sheet”. You can also donate online athttp://www.roryd.org/ simply find the donations tab at the top of the page and scroll down to fundraisers and click onto the “Running for Rory” link. -Encourage your kids to make the most of Running For Rory week. Talk with them about the importance they will play in raising awareness about pediatric brain tumors. Our school community is so thankful for your support and we look forward to a great fundraiser this year. We would love the opportunity to answer any questions or concerns you may have about Running For Rory. On behalf of our all our students, teachers, and The Rory David Deutsch Foundation we thank you. Last week our class worked hard to show what we know on our READING MAP TEST. Tuesday, we will take our MATH MAP test. Go to bed early on Monday evening, eat a good breakfast Tuesday morning, and come prepared to do your best! Matthew Cordell is coming to our school on May 20th. Book orders have been sent home and are due back to school by May 10th. There will most likely be books available the day of the author visit as well. 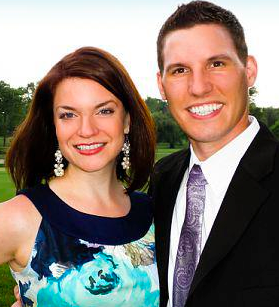 Matthew Cordell is married to one of Indian Trail's former librarians Julie Halpern-Cordell. If you have older students you may remember her. We are excited to welcome Matthew Cordell in to school for a day of talking books and drawing. If you have any questions, please email Karen Grost at kgrost@nssd112.org. Due to the forecasted rain and cooler temperatures for Thursday, May 9th, we are rescheduling Fun Fest for Wednesday, May 15th from 5:00-7:30pm. Preregistration packet pick up will now be on Tuesday, May 14th in our front circle drive from 8-8:45 am. In addition, we will still have teacher raffle boxes and raffle baskets at lunch on Tuesday. The 4th/5th Grade Orchestra Concert will still take place at Elm Place at 7pm on May 15th as planned. The orchestra students will have the unique opportunity to enjoy fun fest for almost two hours and then showcase their talents across the street at Elm Place.